Riding on photography’s white hot growth trend, Pinterest is the social media entity of 2012. Pinterest is an image based social media mecca that keeps users, known as pinners, coming back for more. 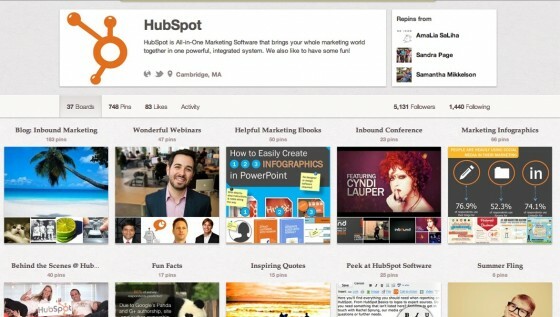 While Pinterest’s sweet spot is women, this social media venue can yield measurable marketing results if used properly. 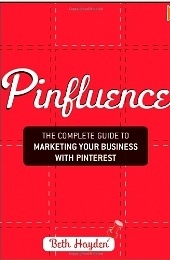 To better understand how Pinterest can help marketers achieve their business objectives in measurable ways, I asked Beth Hayden, author of Pinfluence: The Complete Guide to Marketing Your Business With Pinterest for her advice. Here are three ways Hayden suggested Pinterest helps achieve your business’s goals. Drive traffic to websites and blogs. 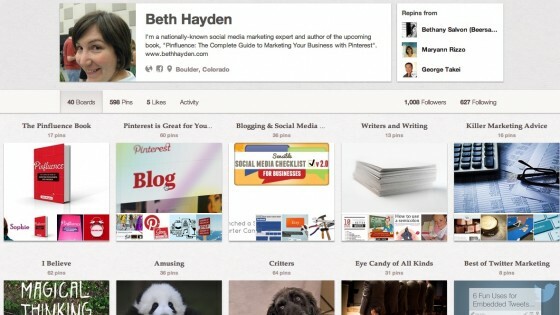 According to Hayden, this is the most easily trackable way that Pinterest helps marketers. 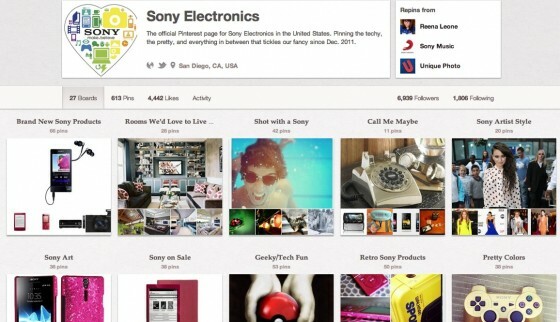 Check out Sony Electronics’ case study where they used Pinterest to increase to their online store traffic by 800%. Cultivate community. By running discussions on Pinterest, businesses can build their community. 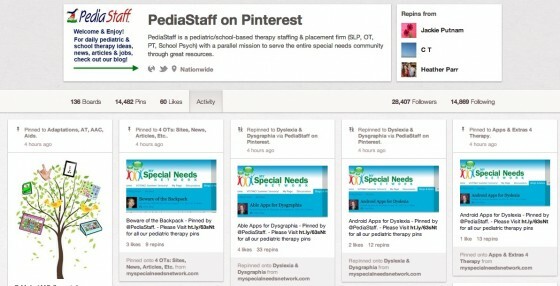 Hayden noted that PediaStaff, a national staffing firm that recruits and places pediatric therapists, has a thriving Pinterest presence. It speaks to their two primary audiences – the therapists they place, and the schools, hospitals and clinics for which they provide therapists. They run ongoing discussions through their boards. According to Hayden, businesses must consider what their ideal customers want and strategically pin content based on those customers’ desires. Many businesses just use Pinterest to link back to their websites as much as possible. By doing this, these businesses take their focus off of their customers’ needs and desires. (To help you better understand your target audience, create a marketing persona.) As I often remind readers, social media isn’t about you, it’s about the community! Expand your Pinterest sources. In Hayden’s opinion, businesses can become great curators by seeking out original content for Pinterest. One of the biggest mistakes businesses make on Pinterest is only re-pinning other pinners’ content. Since around 80% of Pinterest content is repinned from other Pinterest users, businesses can set themselves apart by pinning original content from a variety of other websites and blogs. (Note: Data point from Hayden, no source given.) Here are seven tips to make your images more effective for Pinterest and other social media networks. Provide context and meaning for the content you’re curating. Remember your goal is to position yourself as a subject matter expert. Specifically, Hayden advises marketers to add a pin description that’s unique. It should explain why that particular piece of content is important and how it fits in with the story they’re trying to tell with their board. This means being selective about what you publish in your Pinterest stream – pick the best, most interesting, most informative content for your audience. Here are a B2C, Pretzel Crisps, and a B2B, Hubspot example to provide guidance as to how to curate content on Pinterest effectively. To track results, Hayden recommends measuring the number of pins from your website, the number of repins you get and the number of followers you get on your overall account and on your individual boards. All of those are measurable ways to get insight into how Pinterest is working for your business. What other Pinterest tips do you recommend for businesses? 7 Pinterest retail secrets – Is your business pinworothy? Pinterest The 7 Step Social Media Strategy Every Marketer Needs (Note provides a structured plan. Tags Beth Hayden, Pinfluence, Pinterest. Bookmark the permalink. ← Social Media: Do You Know Where Your Target Audience Is? Pinterest will collapse once people start respecting other peoples’ copyright issues, (which you probably ignore). I agree that stricter observation of copyright will change the nature of Pinterest and it should be better monitored. By contrast, Pinterest will benefit not decline from more rigorous copyright protection. People love images. Facebook has far more images than Pinterest.